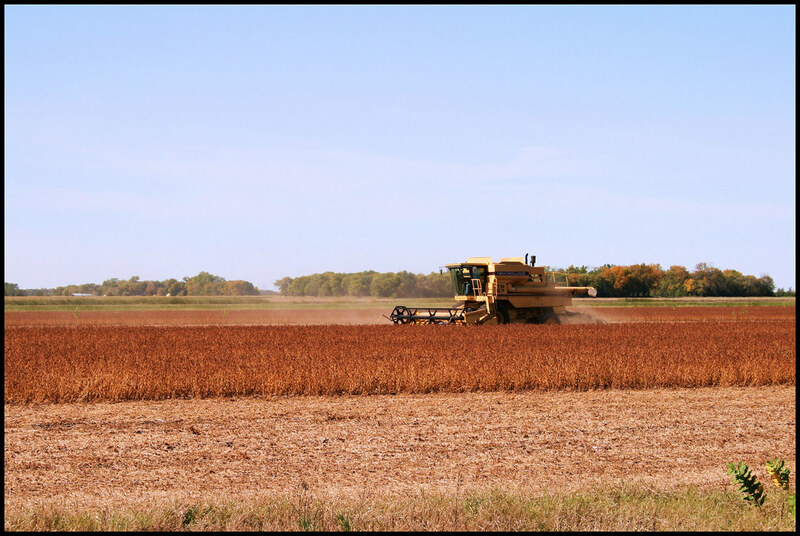 The soybean harvest in Minnesota seems to have begun over the weekend. This photo, from an unknown Minnesota location, shows a New Holland combine creeping across golden soybean fields. Farmers typically begin the soybean harvest in mid- to late-September with the corn harvest beginning shortly thereafter.